Minister Sam L. Townsend, Jr. formed the Imani Fellowship Choir in 1996 as a gospel music and evangelistic ministry based in Seattle, Washington. Composed of talented, yet humble singers and musicians, this choir has been tremendously blessed with God’s favor. Their first concert was televised locally at the Langston Hughes Cultural Arts Center in Seattle. The Imani Fellowship Choir has performed for various churches, local and national conventions, and several community-based and civic events, including the Day of Prayer and Remembrance for the victims of the September 11th terrorist attack. 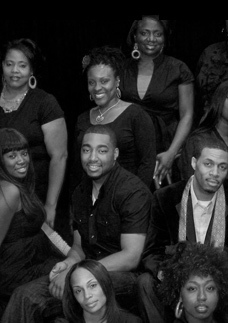 Imani Fellowship choir’s stage credits include “The Lion King”; the Langston Hughes musical play, “Black Nativity”; the London tour of “Concert of the Cross”; their collaboration with the Seattle Symphony; and several performances at Seattle’s renowned Paramount Theater. The Imani Fellowship Choir has shared the stage with a host of Gospel legends, including Karen Clark-Sheard, Kim Burrell, Evangelist Dorinda Clark-Cole, the late Minister O’Landa Draper, Ted & Sheri, and Evangelist Beverly Crawford. The joyful, unrestrained praise of Minister Sam L. Townsend, Jr. & Imani Fellowship Choir is sure to uplift, compel, and captivate their listening audiences. Unleashing the power of gospel music by ushering in the presence of the Lord, their aim is always to turn a musical performance into a life-changing experience.